To round off my recent series of posts on comics and education, I’m joined by Professor Mark D. White of CUNY; Master’s student Tom Miller of McMaster University in Canada; Australian critic and screenwriter Martyn Pedler, currently completing an interdiscplinary PhD thesis on superhero stories at the University of Melbourne; and Nick Sousanis, an artist-educator and doctoral candidate at Teachers College, Columbia University. 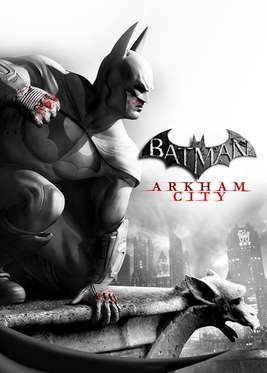 The discussion was prompted by a piece on the Batman: Arkham City computer game on the Overthinking It website. Nothing about Arkham City is subtle. But then, nothing about superhero comics has ever been subtle. Whenever superhero comics try to get “edgy” and “real,” they bump against the limits of the genre. Superhero comics are meant to have action and thrills. That’s why people read them. So when a writer introduces a problem in a comics storyline, it has to be a problem that can be solved through thrilling action. I used the article as a leaping-off point to ask Mark, Tom, Martyn, and Nick whether the need for fisticuffs prevents superhero comics from exploring deeper issues. Nick: Supercharacters as a vehicle to tell any kind of stories make sense to me. Just because there are so few strong examples of a nuanced superhero tale, doesn’t mean the genre (and certainly not the medium) isn’t capable of attending to them. Martyn: It’s true that in superhero comics, all conflict has to be rendered as spectacular, and ideological battles are rendered just as visually as physical ones. 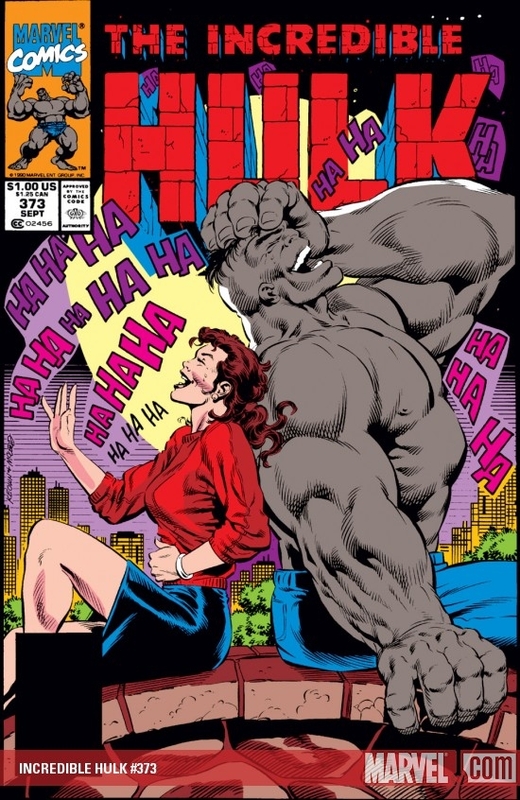 (You can see the childlike green Hulk wrestle with the cunning grey Hulk over control of Bruce Banner’s subconscious, for example, back in Hulk #373.) Then again, no conflict in an ongoing superhero serial is ever truly ‘solved’. They inevitably return to generate more stories, month after month – no matter how hard they’re punched. The status quo remains. That sounds pretty ‘realistic’ to me. Tom: Perich is grossly generalizing. It would be ridiculous of me to deny that there is a lot of punching in superhero stories, but I don’t think that we would see this kind of criticism if we were talking about another genre. If the video game under consideration were a mystery, or a horror, could we boil the genre conventions down to single sentences (the butler did it, or the monster comes back to life at the end) and leave out all the diversity of stories to be told within those conventions? I think that would be a disservice to any genre, and no less so to the superhero. Mark: I disagree with the article, but I think it’s a difference of degree. The author thinks there is some thoughtfulness alongside the action, but too much of the latter at the expense of the former. I do think he’s right if you think of the recent relaunch of DC comics: all action, but mostly moronic, simplistic storytelling featuring ciphers in familiar costumes. Whereas I think there is too little action in many books (aside from big smash-em-up events like Avengers vs. X-Men and Fear Itself), with an overabundance of wasted splash pages and endless talking heads (cough, Brian Michael Bendis, cough), and some discussion of serious issues (or at least enough for people like us to latch onto). Nick: I’ve never played the Arkham City game but it looked so cool it made me want to. That said, the storyline sounds pretty terrible, as described. I’ll side with Mark on his description of too much and too little action as differences of degree. Mark: As with any type of fiction (I hesitate to say “literature”), comic books offer stories of a people’s struggles. Superhero comics in particular are often fantastical by nature, but I believe the best superhero comics use characters’ superpowers and abilities as a device to tell stories of the characters’ basic humanity. Superman’s powers are amazing, but the best stories about him do not focus on how he uses his heat vision to defeat a foe! Instead they look at how he decides whether to save both Lois Lane or the bus full of schoolchildren–a basic ethical problem dealing with partiality. We thrill to all the gadgets Batman uses in his personal war against crime, but the issue of how far he is willing to go to fight his war–such as whether to kill his enemies–is more basic, and can be applied in the real world in many ways. These are issues that bring the most out-of-this-world superhero stories down to earth and make the characters and situations approachable. Nick: I don’t see why superhero comics can’t be subtle and talk about important things. Sure, the action, the characters may be the draw, but putting them in situations that leave us thinking and reading again – why not? I’ve read The Killing Joke like fifty times (to give an example of something that doesn’t end with a punch out…), and there’s a lot to think on there. Mark: I always thought the best superhero stories were the ones where the hero had to solve problems (save the people, stop the villain, etc.) by using the same reasoning a “normal” person would, i.e. without relying on his or her powers. Sure, we all want to see Superman fly around, punching things and using his heat vision, but that’s just the frosting on the cake–at its heart, a good comics story presents some sort of moral dilemma, a Gordian knot or Solomonic choice, that the hero has to solve–much like anybody in the real world would. Tom: It’s the ethical stances taken by an author that make for the really great superhero stories, and the ones that can give us some real world capital. I think that in a well-sculpted superhero story, we’re not meant to be imagining that the way Batman or Wolverine handles a “real world” issue is the correct way; we’re meant to pick up on the moral framework that underlies such tactics. The solutions that superheroes tend to come up with are not practical ones, but metaphors. When a writer tries to access the superhero as a metaphoric figure, then such ethical frameworks become the point, rather than the backdrop. Matt: Right – the riffs on the War on Terror and the culture of surveillance are a nice example of this in Nolan’s second Batman movie. Mark: It’s when Superman has to decide how best to serve humanity, or balance his duties as Superman with his marriage to Lois (remember when they were married?). (That’s why, for the most part, I enjoyed John Michael Straczynski and Chris Roberson’s “Grounded” storyline, in which the Man of Steel walks across the United States to reconnect with people’s everyday lives.) With non-powered heroes like Batman you see this down-to-earth quality more – but even with the Caped Crusader, sloppy writers can rely too much on gadgets or incredible fighting skills. 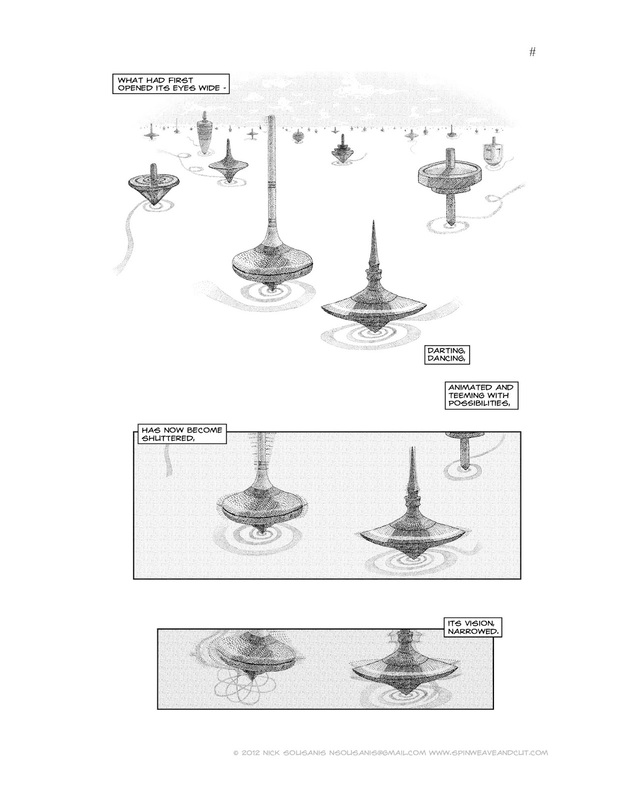 Martyn: Batman’s ‘no gun, no killing, not ever’ stand is one of the most interesting in comics. Of course it makes little sense to keep the Joker alive for a million more murders, except that DC Comics require him to be. And yet this strict moral code is enormously powerful, I think, in the very best traditions of superhero idealism. Besides, does this kind of idealism always have to be positioned as the opposite to realism? Call me naive, but “with great power comes great responsibility” is a good a real-world lesson as any. Nick: What sickens me about superhero comics today is how many people die per issue just for the hero to save one friend or featured character. It’s really silly. I almost think we should start a DPI – deaths per issue – rating system. The recent Batman annual was a decent enough story on some level (and writer Scott Snyder produces some of my favorite stuff right now) – but they killed 20 guards/police in the course of that adventure, maybe more! Fortunately Nightwing and Robin just got a little chilled. Mass slaughter like that would take a tremendous toll on the community and all these individual families. If there’s a point in telling stories with that kind of impact – that’s one thing. But if not, it seems like plenty of powerful tales could be told without this gratuitous element and death would have some meaning. Tom: I agree about the deaths-per-issue problem. A death has to be meaningful – you’ve got me thinking of the prologue to the “Grounded” series, which Mark mentioned, where Superman is confronted by a woman whose husband dies as a result of his absence. Matt: Shades of Dark Star? Tom: – by trying to stop him exploding. Superman explains that this is not the case, only that he wishes to help him achieve his goal without hurting anyone else, and throws him into the Sun to explode harmlessly. In Superman’s simpler world, sometimes helping means punching a villain or two. In our own more complex world, it is not the physical battle that is pertinent, but the drive to help, no matter what. Matt: In 2012, is the superhero – this Western pop figure with all this cultural baggage – a positive role model, or a problematic one? Should we seek to be inspired by these caped crusaders, or to interrogate them – to see them as obstacles to thinking through the real challenges our culture faces? It feels as if the superhero saw a post-9/11 resurgence, as a comforting figure in an age of highly mediatized global conflict, but is this a tool to think critically with, or just a comfort blanket which distracts us from an uncertain future? Isn’t that what Perich is getting at? Martyn: One of the things that makes superheroes so fascinating is that they contain multitudes. It’s always entertaining to see progressives and conservatives fighting over, say, what Batman means – because he’ll always be both. Any superhero featured in decades of ongoing stories, by thousands of writers and artists, will at times fall on all points of the political spectrum. So yeah, superheroes are disturbing adolescent power fantasies. They’re also utopian dreams of the best of humanity. They’re figures of rebellion and agents of existing authority. They’re underdogs and overdogs. They’re all of the above. Thankfully there’s no sign of maniacal laughter in Nick’s dissertation piece…yet. Tom: For me this all boils down to the handling of super-characters. First, there’s a vast difference between a video game and a comic book. There are different goals inherent in the formats, and I don’t know that a video game like Arkham City is ever going to be a great place to investigate the possibilities of the superhero. Second, the longevity of characters like Superman or Batman, and the myriad authors that handle them, allow for them to become abstracted through over-definition, and thus able to speak to many different philosophies and uses. Sure, in some cases, the superhero is a distracting comfort blanket, but there’s always going to be people who want to peek under that blanket and see what’s really going on. I think Perich’s article, and the discussion we’ve had here, might lead us to the question of people in the real world who dress up in costume and do good, be they social workers or vigilantes, and how these “superheroes” handle real world problems, and what inspiration they take from their comic book progenitors, though perhaps that’s fodder for a different discussion. Matt: That’s got me thinking of Phoenix Jones and the ‘real life superhero movement’ in Seattle, but also Grant Morrison’s Supergods – ‘the superhero as ultimate self-help philosophy’, as Martyn put it in his review for Bookslut. Definitely something to pursue on another occasion. Thanks to my guests Professor Mark D. White. Tom Miller, Martyn Pedler, and Nick Sousanis. You can see more on superheroes, comics and education via the comicsedu tag on my site.